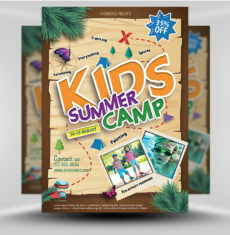 Get into the sun, the surf and the sand – and enjoy the beach with the members of your church! 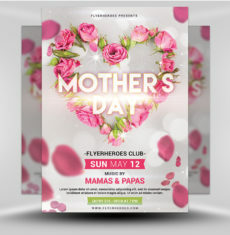 Most of the time, you and your church family are indoors, but not this time! 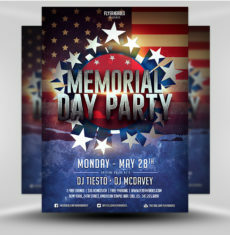 Get outside and celebrate. 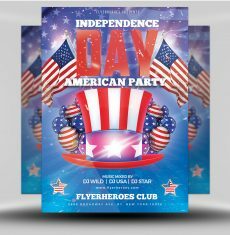 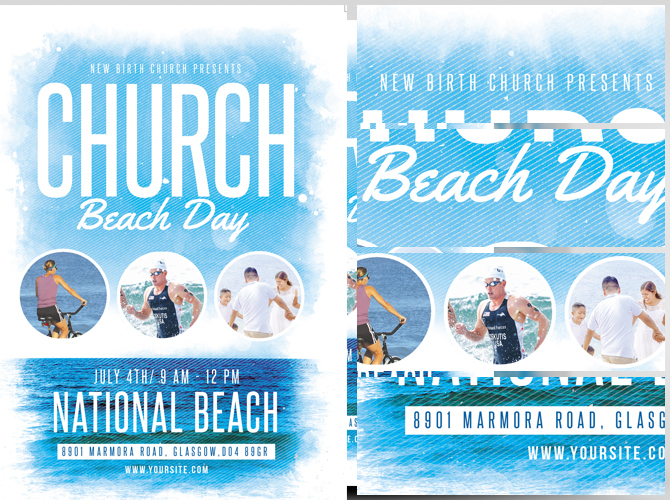 Make sure the whole community knows when and where the celebrations are going down with the Church Beach Day Flyer Template from FlyerHeroes! 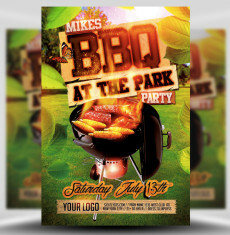 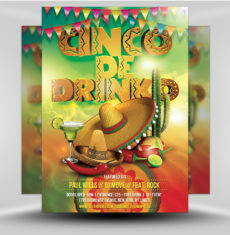 Bordered in faded white, this flyer is colorful, bright and cheerful! 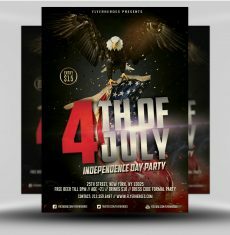 It uses intense blues effectively, with the beautiful ocean disappearing into the horizon. 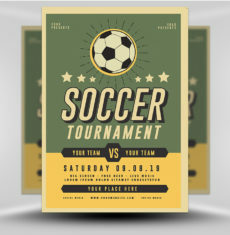 Front and centre are picture of your church members participating in fun activities, which capture the viewer’s attention. 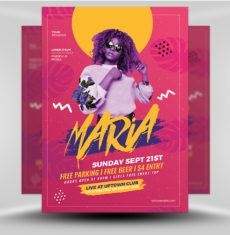 The stunning design, use of negative space and attractive colors keep their attention, drawing their eye towards the undeniably incredible customizable typography. 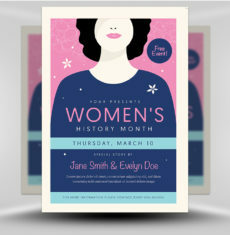 You can re-arrange all of our professionally organized layers with just a few clicks, making this flyer entirely your own. 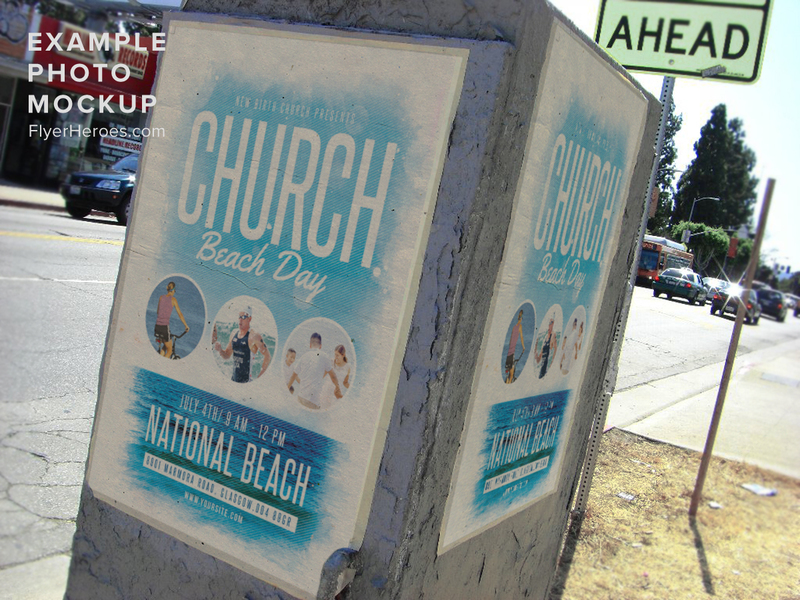 Add in all the details of your church beach event along with your own flair and personality. 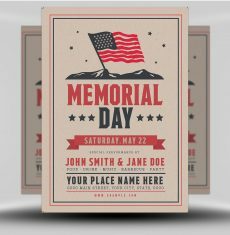 The date, the time, the location – anything they will need! 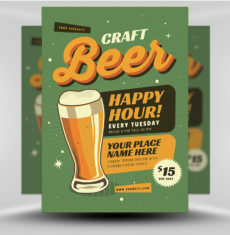 Along with some social media connections to get your community interested. 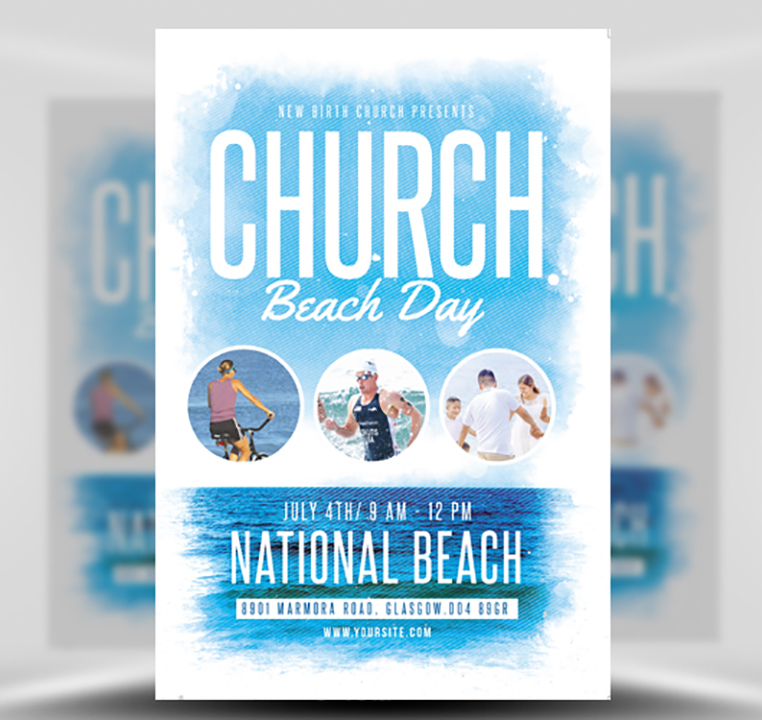 With high-quality images and a high-resolution final product, the Church Beach Day Flyer Template is ready to make your event a success! 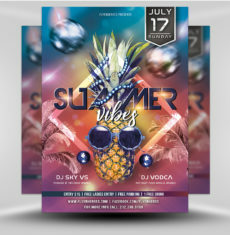 If you’re not holding a beach event or if this flyer isn’t exactly what you’re looking for, we’ve got plenty of flyer options! 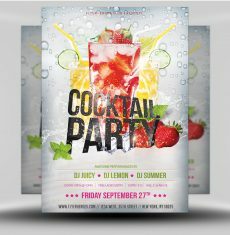 The Church Flyer Template V2 is ready for you, and pair that flyer with the Church Flyer Template for more exposure! 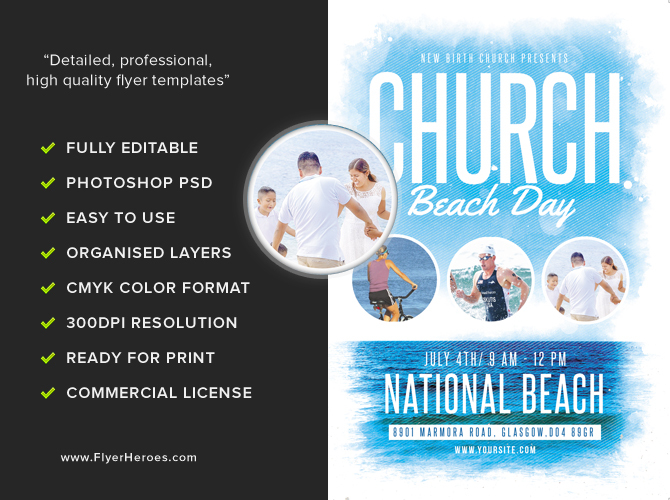 Get out on the beach and soak in the sun with the Church Beach Day Flyer Template from the pros right here at FlyerHeroes! 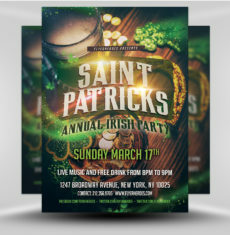 Church Beach Day Flyer Template is a premium Photoshop PSD flyer / poster template designed by FlyerHeroes to be used with Photoshop CS4 and higher.